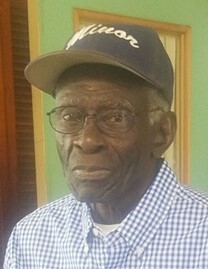 Minor Irvin, III, 84, of Amarillo, died Monday, January 21, 2019. Funeral services will be 2:00 pm Saturday at Cox Funeral Home Chapel, 4180 Canyon Dr. with Rev. Billy Snider of San Jacinto Assembly of God Church officiating. Burial will be at Llano East Cemetery. The family will receive friends from 5:00-7:00 pm Friday at the funeral home. Minor was born October 11, 1934 in Town Creek, Alabama to Minnie and Minor Irvin, II. He grew up in Alabama. He proudly served in the U.S. Air Force. He worked for the City of Amarillo for several years, and then for Amarillo Ford Tractor. He enjoyed bingo, and worked at Lawndale Bingo Hall. In his spare time, Minor enjoyed fishing, gardening, and working on cars. He will be greatly missed by all who loved him. He was preceded in death by his parents; a son, Gary Irvin; a sister, Emma Jones; and Virginia Woods. Survivors include three sons, Michael Irvin and Tommy Lee Irvin both of Town Creek, AL, and Rodney Irvin and wife Angie of Rowlett; three daughters, Brenda Anthone, Stephanie Williams and husband Wendell “Chuck”, and Pamela Irvin all of Amarillo; four sisters, Georgia Lee Jones and husband John Edward, Geanis Stovall, Elizabeth Ann Cohn, and Carolyn Bell all of Alabama; two brothers, Leslie Porter and Michael Irvin both of Alabama; former spouse, Margaret Irvin of Amarillo; eight grandchildren; four great-grandchildren; and many nieces and nephews. The family suggests memorials may be made to Alzheimer’s Association at www.alz.org.